An evening snowstorm may be harsh and frigid, but when you wake up in the morning, the world is transformed and refreshed! Snow completely covers the frozen ground and dresses up the bare branches of trees, which lost their leaves in autumn. Now the world is new again - covered in a soft, wintry whiteness. 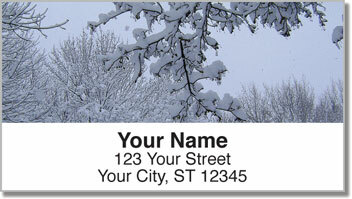 If you love the winter, this is the perfect way to mark your mail with the stark beauty of the season. 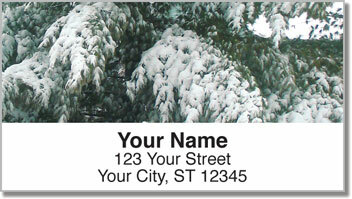 But the best part about your new address labels is that they are self-adhesive. That means you'll never need to write out your name and address by hand ever again. You just stick a label on each envelope and move on! 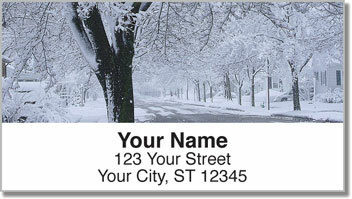 Get your very own Fresh Snowfall Address Labels today! 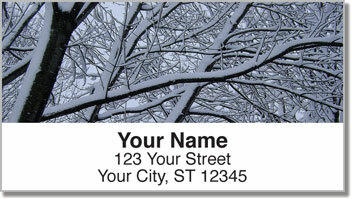 Complete your order with a set of matching checks.